Bryan Cranston plays a quadriplegic billionaire in his new movie The Upside. He is not actually disabled, so critics are demanding he apologize. “Most non-disabled people are afraid of becoming disabled and non-disabled people are primarily writing films about disability, so if you’re coming at it from a place of harm and fear to begin with, it’s probably not going to be an actual, accurate representation of what disability is and what disabled people’s lives are like,” filmmaker Dominick Evans said. His sentiments were shared by many. There are disabled actors/people who can act disabilities right *and* well. Disabled folks, including actors, face high discrimination/unemployment. We pay so much more to survive, die more easily/sooner. Johnson, Cranston, other ableds don’t need the money/real awareness. We do. 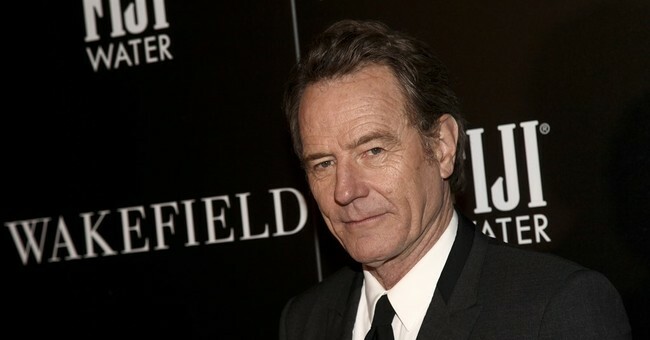 Cranston defended his character, however, explaining that playing other people is kind of his job. “If I, as a straight, older person, and I’m wealthy, I'm very fortunate, does that mean I can’t play a person who is not wealthy, does that mean I can’t play a homosexual?” he asked. Cranston is not the only actor to be accused of cultural appropriation in recent years. You'll remember that Scarlett Johansson was in hot water for accepting a role as a transgender man in the film Rub & Tug. The criticism was so fierce that she eventually abandoned the project. Emma Stone was similarly condemned for playing a part-Asian woman in the film Aloha. She yelled, "I'm sorry" for that role at last week's Golden Globes when Sandra Oh poked some fun at the film. Cranston's Upside costar Kevin Hart has also caused a recent media frenzy. When media resurrected his years-old homophobic tweets last month, it led to his decision to step down as the host of the 91st Academy Awards. Supporters of his, including LGBT advocates like Ellen DeGeneres, are hoping Hart will reconsider, but he said he doesn't want to make the awards ceremony about himself. The scandal has so far left the Oscars hostless.